When director A.K Sajan offered Roby to crank camera for Puthiya Niyamam, little did he know that it was going to be a big move. Around a year back, when Roby David Raj received a call from writer-director A.K. Sajan, he never thought it was going to be a turning point in his life. 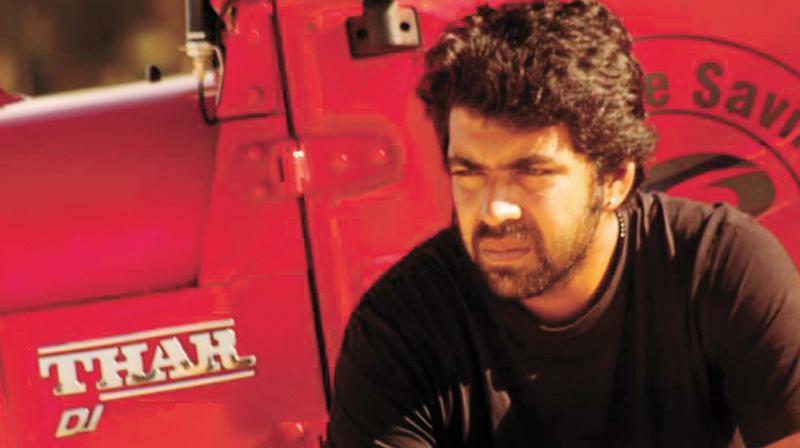 Though Sajan had called to congratulate Roby, who was then an associate of cinematographer Jomon T. John, after watching Roby’s work for a short film, Sajan put forwarded an offer to him — to wield the camera for his next directorial venture. Roby, who mesmerised the audience with his beautiful frames in the Mammootty-starrer Puthiya Niyamam, his debut film, opens up about how he became a part of it. “Even when working as an assistant of Jomon chettan, I used to work for ad films and short films. It was after watching one of those short films — The Tale of Mathew Mannadan, Sajan sir called me and gave me the offer. In fact, when I committed this project, it was a small film with Renji Panicker sir and Remya Nambeeshan in the lead,” he says. Though he had done the preproduction in order to shoot it at Kodungaloor in Thrissur, later, a major change occurred in the cast of the film. “One day, Sajan sir called me and said Mammootty sir and Nayanthara ma’m are going to essay the lead pair. As the project became a big one, I thought I would not be a better choice for this film as they could bring an experienced technician to crank the camera. So I stopped calling Sajan sir and joined the sets of Action Hero Biju as an associate cameraman and later in Charlie,” says the cinematographer, who considers Rubais Mohammed, Himman Dhammija, Lokanathan and Jomon as his mentors. He says it was just because of the support from the director, he could complete the project without any inhibition. “Sajan sir did not give me any guideline on how to work. Instead, I had full freedom. The support from the whole team, especially Mammootty sir, and Nayanthara ma’am, played a crucial role in making my work simple,” a happy Roby says.